What it is, Groove-ophiles! 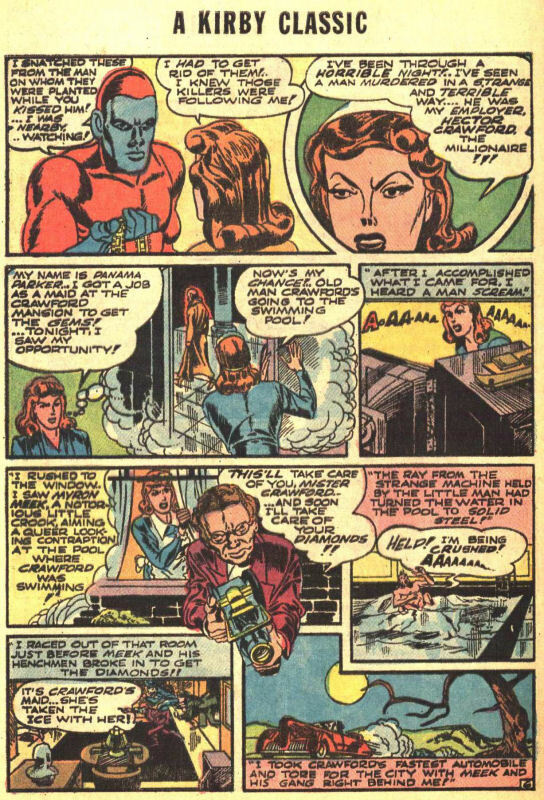 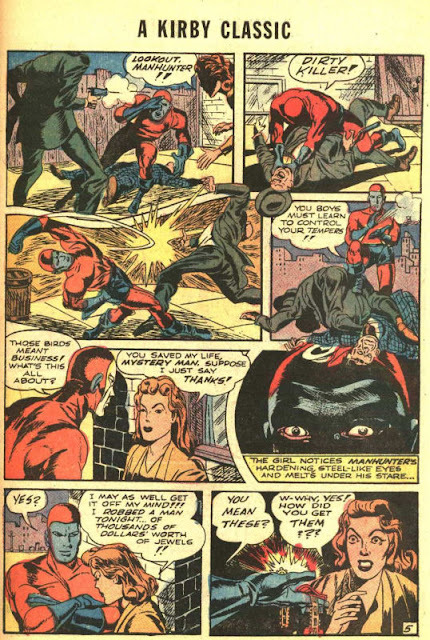 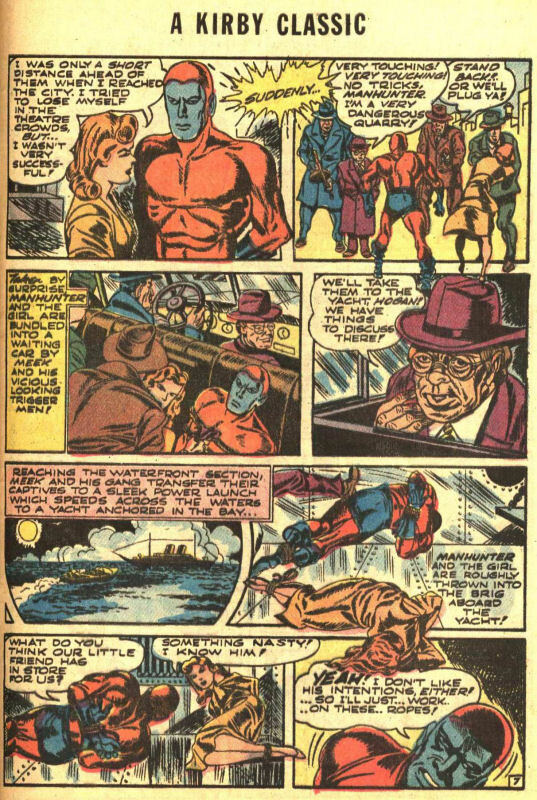 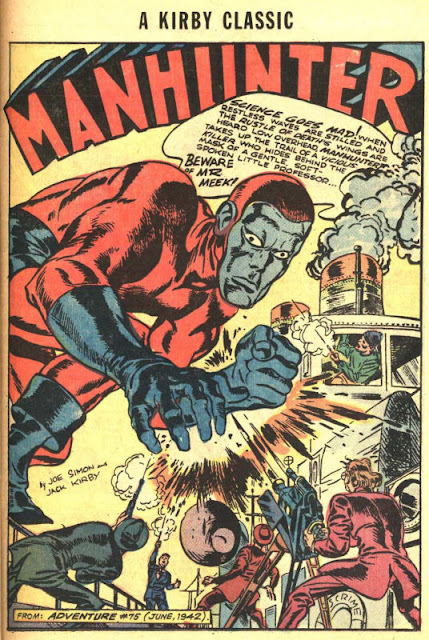 Today we're checking out the magnificence that was Joe Simon and Jack Kirby's Golden Age Manhunter. 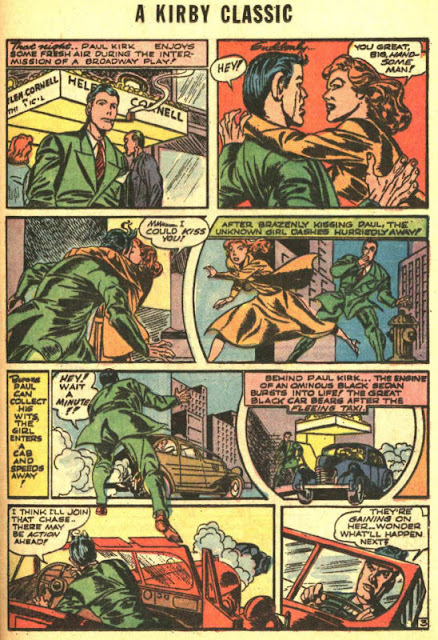 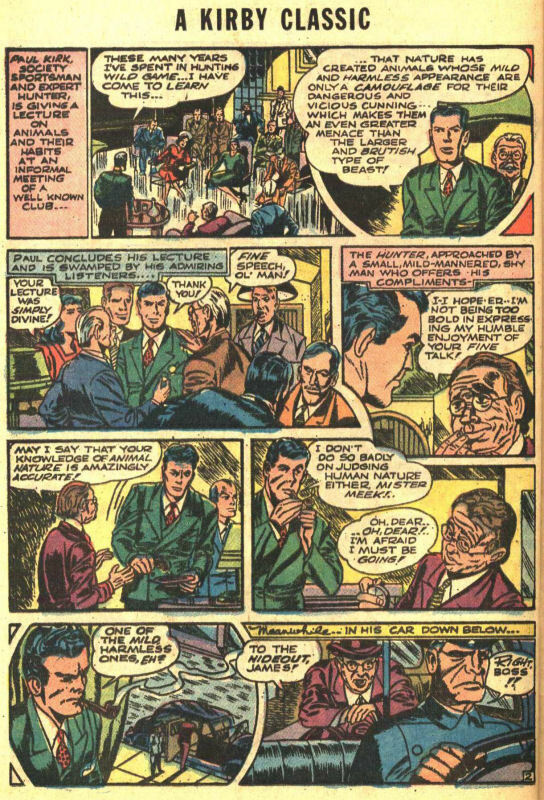 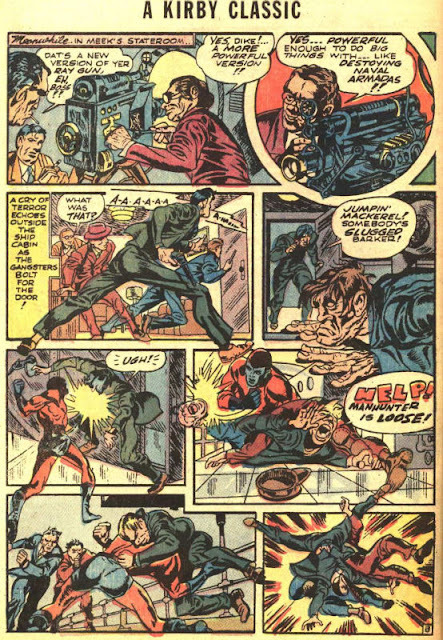 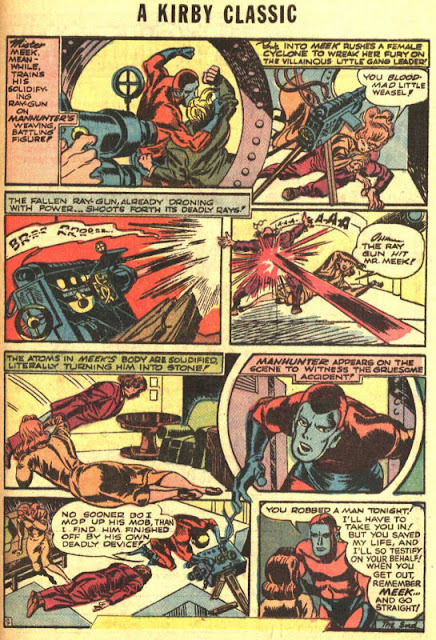 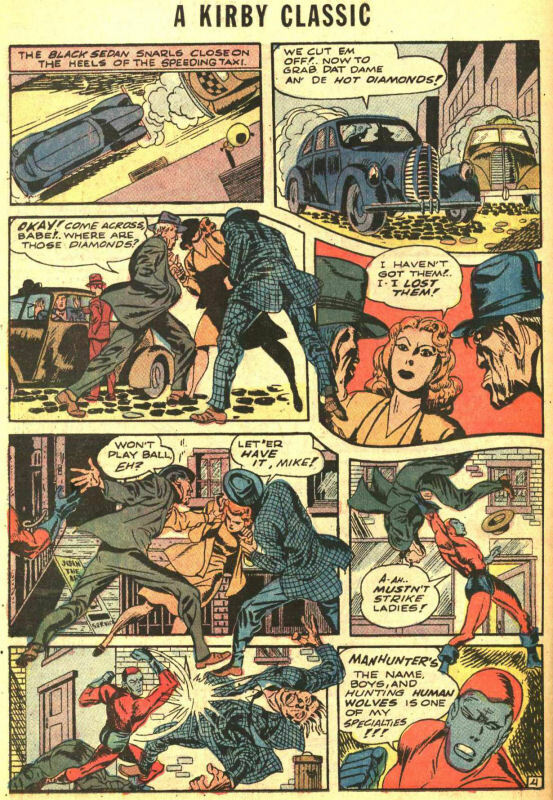 "Beware of Mr. Meek" comes from the back pages of the legendary sixth issue of New Gods (October 1971) and was originally published in Adventure Comics #75 (cover-dated June 1942). This was Young Groove's first exposure to "society sportsman" Paul Kirk's alter ego, and I hope it impresses you as much as it did moi! That was great. No one could cram in the action like S&K.